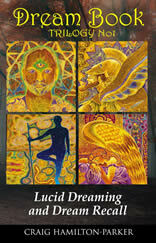 Psychological Dream Meaning: A laboratory may represent the transformation of the self (see Alchemy). It may also symbolise psychological experimentation and new ways of dealing with the world. You may be experimenting with ideas and perhaps even testing yourself. Could it be that you want to prove a point. Psychological Dream Meaning: A ladder may represent the different levels of consciousness between man and his divine self. It is a symbol of achieving personal wholeness. As a worldly symbol, climbing a ladder may represent progress such as achieving status, power or an important goal. Descending a ladder may represent the opposite or an escape from your spiritual responsibilities. Psychological Dream Meaning: A lake may represent the unconscious mind. Water often makes a symbolic statement about your emotional state. If the lake is clear and still then this may represent your reserves of inner peace and spiritual energy. However, if the lake is disturbed in any way then you may have emotional troubles. Psychological Dream Meaning: Lambs may represent the part of you that is pure and innocent. It is the real you, unsullied by the troubles of this world. 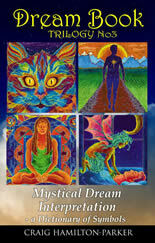 Psychological Dream Meaning: Light offers guidance and reassurance and is a symbol of the spirit. Similarly, the lamp is a positive symbol that may represent the hopes and inspiration that drives you on through dark times. If your lamp goes out this may be a symbol of being overwhelmed by the unconscious. You have lost your ability to find your own way. Psychological Dream Meaning: If you dream of leading something this shows that you are taking control of factors in your life. What you are leading describes what you are taking control of. For example, if you dream of leading a dog this may show how you are disciplining and controlling your sexual nature. If you are the one being lead, you must consider what psychological factors you are following at the moment. Are you being led astray or to something better? Psychological Dream Meaning: Your dream may be a continuation of your intellectual thinking and you are assimilating new knowledge that you learnt in the day. However the dream may be saying that you are becoming a bite of a bore by the way you lecture people in real life. You need to improve your communication skills. Don’t be like Gladstone, a Prime Minister of Britain, who Queen Victoria complained ‘talks to me as if he is addressing a public meeting’. 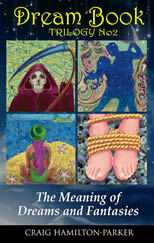 Psychological Dream Meaning:. The right hand hemesphere of the brain controls the left side of the body. This part of the brain is instinctive, artistic and intuitive. The left side of the body therefore represents these qualities. Psychological Dream Meaning: Legs represent our ability to progress. If they are strong it shows your self-confidence but if they are weak you may feel emotionally unsteady at the moment. Psychological Dream Meaning: To receive a letter in your dream may herald and unexpected change in your life such as a new opportunity or challenge. Your response to it indicates the nature of these anticipated events. If it makes you feel good, then you feel assured about the future but if the contents cause anxiety, this may indicate that you need to take a more positive attitude. The letter could also be from you unconscious mind which is trying to give you a message about your behaviour or your circumstances. Take note of the great wisdom and guidance that comes from this hidden source.